An easy to use shoe insert that keeps your feet toasty warm. 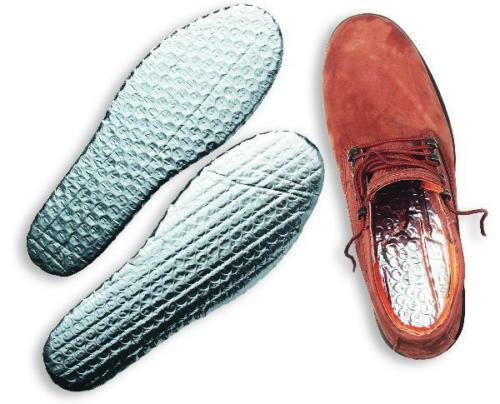 Toasty Soles reflect your own body heat back into your feet! Space age reflective technology. Keeps feet warm, even in the coldest winter weather. Reflects body heat back to the foot. Aluminized reflective film with durable reflective coating. Trims to shoe size. Lasts one season.